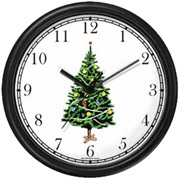 WatchBuddy Clocks: Wall Clocks, Wooden Frame Clocks! 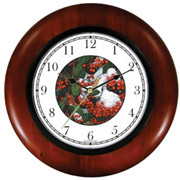 Wooden Clock: WatchBuddy® Wooden Clocks feature a beautiful rich Mahogany Stained Wooden frame with precision quartz movement; three hands (hour, minute and second). 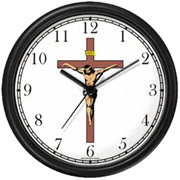 Wooden Clock measures 12 inch in diameter. Five Year Warranty. Requires one AA Battery (not included). • Snow on Holly Berries / Mistletoe Wooden Wall Clock: (Mahogany Frame) #CLK-0067-JP6-4-WC. BUY NOW! 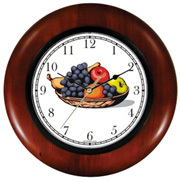 • Still Life of Fruit Wooden Wall Clock: (Mahogany Frame) #CLK-0034-2-WC. BUY NOW! 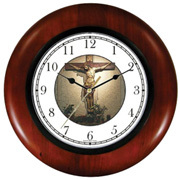 • Jesus Christ on Cross / Crucifix: (Mahogany Frame) #CLK-0066-11-WC. BUY NOW! • Sculpture of Christ on The Cross / Crucifix: (Mahogany Frame) #CLK-192-JPS-WC. BUY NOW! • Flowers Bouquet 1: (Mahogany Frame) #CLK-34-JPS-WC. BUY NOW! 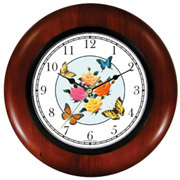 • Multi-color Roses Flowers & Butterflies: (Mahogany Frame) #CLK-96-JPS-WC. BUY NOW! 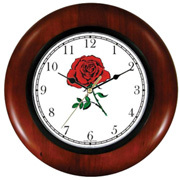 • Red Rose Flower: (Mahogany Frame) #CLK-0100-40-WC. BUY NOW! • Red & Peach Roses Flower Bouquet: (Mahogany Frame) #CLK-0100-JP-Roses-WC. BUY NOW! 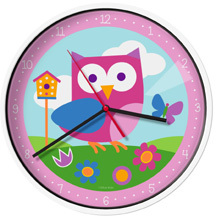 Plastic Clock: WatchBuddy® Plastic Clocks feature a beautiful high gloss Plastic frame with precision quartz movement; three hands (hour, minute and second). Wall Clock measures10 inch in diameter. Two Year Warranty. Requires one AA Battery (not included). 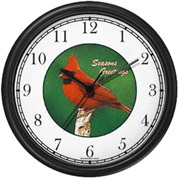 • Cardinal Bird Season Greetings: (Plastic Frame) #CLK-0009-JP6_5-BLK. BUY NOW! 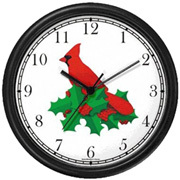 • Red Cardinal Bird in Christmas Mistletoe: (Plastic Frame) #CLK-0008-34B-JP-BLK. BUY NOW! 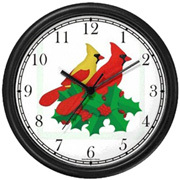 • Red & Yellow Cardinals Bird in Christmas Mistletoe 1: (Plastic Frame) #CLK-0008-34C-JP-BLK. BUY NOW! • Red & Yellow Cardinals Bird in Christmas Mistletoe 2: (Plastic Frame) #CLK-0008-34D-JP-BLK. BUY NOW! 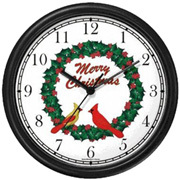 • Red & Yellow Cardinals Bird in Merry Christmas Wreath: (Plastic Frame) #CLK-0008-34E-JP-BLK. BUY NOW! 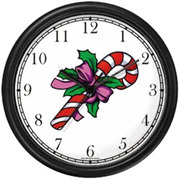 Plastic Clock: WatchBuddy® Plastic Clocks feature a beautiful high gloss Plastic frame with precision quartz movement; three hands (hour, minute and second). 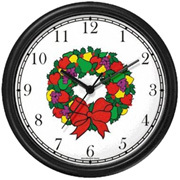 Wall Clock measures 10 inch in diameter. Two Year Warranty. Requires one AA Battery (not included). 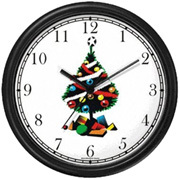 • Christmas Tree: (Plastic Frame) #CLK-0067-33A-BLK. BUY NOW! 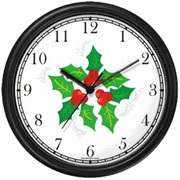 • Christmas Mistletoe: (Plastic Frame) #CLK-0067-5-BLK. BUY NOW! 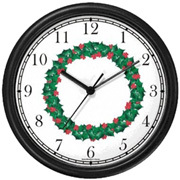 • Christmas Wreath No.1: (Plastic Frame) #CLK-0067-1-BLK. BUY NOW! 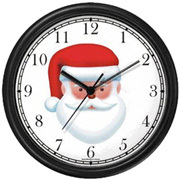 • Santa Claus (Head): (Plastic Frame) #CLK-0067-25B-JP-BLK. BUY NOW! 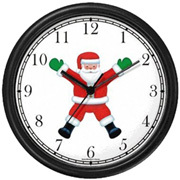 • Santa Claus (Whole Body): (Plastic Frame) #CLK-0067-25E-JP-BLK. BUY NOW! 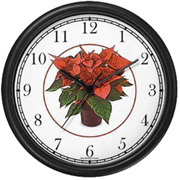 • Poinsettas in Flower Pot: (Plastic Frame) #CLK-0067-JP6-2-BLK. BUY NOW! 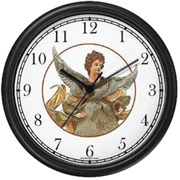 • Angel Christmas: (Plastic Frame) #CLK-0067-JP6-10-BLK. BUY NOW! 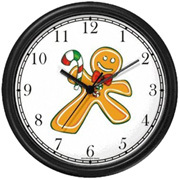 • Ginger Bread Man with Candy Cane: (Plastic Frame) #CLK-0067-4-BLK. BUY NOW! 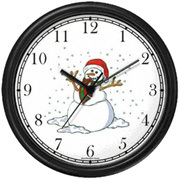 • Snowman or Snow Man with Scarf: (Plastic Frame) #CLK-0067-14A-BLK. BUY NOW! 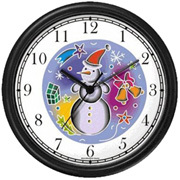 • Snowman or Snow Man: (Plastic Frame) #CLK-0067-12-BLK. BUY NOW! 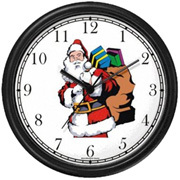 • Santa Claus with Bag of Presents: (Plastic Frame) #CLK-0067-29-BLK. BUY NOW! 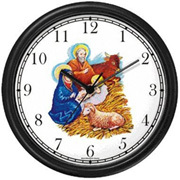 • Nativity Scene in Manger: (Plastic Frame) #CLK-0066-3-BLK. BUY NOW! 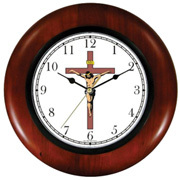 • Jesus Christ on Cross or Crucifix: (Plastic Frame) #CLK-0066-11-BLK. BUY NOW! 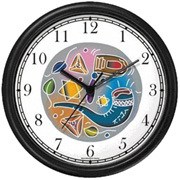 • Jewish Holiday Symbols of Purim & Rosh Hashanah: (Plastic Frame) #CLK-0070-37-BLK. BUY NOW! • Christmas Carollers: (Plastic Frame) #CLK-0067-15A-BLK. BUY NOW! • Candy Cane: (Plastic Frame) #CLK-0067-3-BLK. BUY NOW! • Snowflake or Snow Flake: (Plastic Frame) #CLK-0067-18-BLK. BUY NOW! 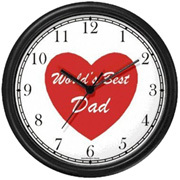 • Red Heart / World's Best Dad: (Plastic Frame) #CLK-0100-8-BLK. BUY NOW! • Red Heart / World's Best Mom: (Plastic Frame) #CLK-0100-14-BLK. BUY NOW! 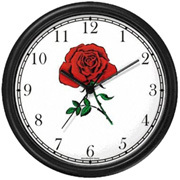 • Red Rose: (Plastic Frame) #CLK-0100-40-BLK. BUY NOW! • Red & Peach Roses Bouquet: (Plastic Frame) #CLK-0100-JP-Roses-BLK. BUY NOW! 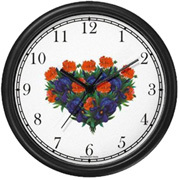 • Butterflies & Flowers Bouquet: (Plastic Frame) #CLK-15-JP5-BLK. BUY NOW! 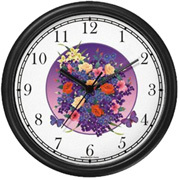 • Red & Violet Flowers Bouquet: (Plastic Frame) #CLK-35-JP5-BLK. BUY NOW!